With more and more data being exchanged over APIs, generating comma-separated strings are becoming a much more common requirement. A few years ago, I wrote about two different ways to generate comma-separated strings. The most common one I find to be in use when generating comma-separated values from a table is the intermediate conversion of XML. This however, is a very costly mechanism and can potentially take minutes for the query to run depending upon the amount of data involved. SQL Server 2017 brings a new aggregate function that can be used to generate comma-separated values extremely fast. The function is STRING_AGG(). As with every new feature, there may be a small usability challenge with STRING_AGG. One cannot use keywords like DISTINCT to ensure that only distinct values are used for generating the comma-separated string. There is however a Azure feedback item open where you can exercise your vote if you feel this feature is useful. 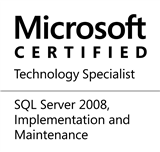 This entry was posted in #SQLServer and tagged #SQLServer, #TSQL, Best Practices, DBA, Development, HowTo, Performance Tuning, Tips on March 18, 2019 by nakulvachhrajani. One of the first things I do when I start work on a new database is to use “sp_help” to go through each table and study their structure. I recently noticed something that would make an interesting interview question. Here’s what I saw during my study. Why is there a negative “(-)” sign in the sp_help output? The answer is quite simple – the negative sign simply indicates the columns are in a different sort order. By default, when a sort order is not specified for a column on an index, Microsoft SQL Server arranges it in ascending order. When we explicitly specify a descending sort order of the column on the index, it will be reported with the negative “(-)” sign. This entry was posted in #SQLServer and tagged #SQLServer, Administration, DBA on November 15, 2018 by nakulvachhrajani.